Brightspace’s primary role is to support credit-bearing courses at Vanderbilt. It provides a secure platform for faculty and students to conduct course business online, including file distribution, private and group communication, testing and quizzing, and grade management, among other functions. 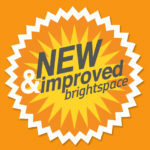 Note that Brightspace allows for management of grades and other student information in a FERPA-compliant environment. FERPA is the Family Educational Rights and Privacy Act, the federal law that governs the privacy of student educational records. In a physical classroom, FERPA provides guidelines for maintaining student privacy. Brightspace provides a virtual extension of your physical classroom and allows for secure, private, online communication of FERPA-sensitive information. Restrictions that apply to your classroom teaching also apply in the Brightspace environment, such as not allowing students to see others’ grades or graded work and not using external email to communicate FERPA-sensitive information. For more information on FERPA, please visit the University Registrar’s website. Courses not listed in Vanderbilt’s student information system (SIS), such as the non-credit courses offered by the English Language Center and the Center for Science Outreach and non-SIS courses offered by Vanderbilt’s schools and colleges, may be offered on Brightspace. Since these courses are not generated in Brightspace through the SIS integration, they must be created on an ad hoc basis by Brightspace Support at the Center for Teaching. Course creation request, as well as requests for batch enrollment of participants, should be submitted to brightspace@vanderbilt.edu. Note: Only courses organized by units at Vanderbilt University can be hosted on Brightspace. Non-Vanderbilt courses cannot be hosted on Brightspace. Colleges and schools are welcome to use Brightspace to create shared learning spaces for cohorts of students. For instance, a space might be created for all students entering a program in a given year and used for communication and collaboration with those students while they are in the program. For assistance using Brightspace for student cohort communities, please contact Brightspace support at the Center for Teaching, brightspace@vanderbilt.edu. Instructors and/or TAs interested in sharing lesson plans, learning activities, and other instructional materials are encouraged to use Brightspace to do so. Brightspace offers several collaboration tools of potential use to such groups, including Learning Repository, a content library instructors can use to share learning resources. 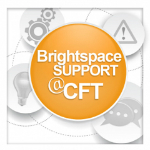 For assistance with Learning Repository or other Brightspace collaboration tools, please contact Brightspace Support at the Center for Teaching, brightspace@vanderbilt.edu. Research groups, such as those organized by a faculty member for their lab, or research seminars, such as those organized by the Warren Center for the Humanities, are welcome to use Brightspace as a collaboration platform. Requests to create research groups and seminars on Brightspace, as well as requests for batch enrollment of participants, should be submitted to brightspace@vanderbilt.edu. Note that in some cases, organizers of research groups and seminars might consider Box, Vanderbilt’s cloud storage system. See https://it.vanderbilt.edu/services/box/ for information on getting started with Box. See also https://it.vanderbilt.edu/services/box/box-data-policy.php for information on the kinds of data that can be securing shared on Box. Departments, programs, and schools interested in sharing files securely for faculty searches and for faculty tenure, promotion, and reappointment reviews are not allowed to do so on Brightspace. Brightspace is not intended for use at Vanderbilt as a general file sharing platform. Those interested in sharing files for faculty searches and reviews might consider Box, Vanderbilt’s cloud storage system. See https://it.vanderbilt.edu/services/box/ for information on getting started with Box. See also https://it.vanderbilt.edu/services/box/box-data-policy.php for information on the kinds of data that can be securing shared on Box. If a student organization is interested in structuring a learning experience for its members in a course-like way, they are welcome to use Brightspace to do so. Requests to create such courses on Brightspace, as well as requests for batch enrollment of participants, should be submitted to brightspace@vanderbilt.edu. Requests to use Brightspace as a general file sharing platform, however, will be denied. 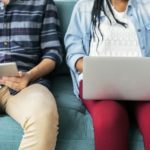 Student organizations interested in file sharing or communication tools might consider Box, Vanderbilt’s cloud storage system, or AnchorLink, Vanderbilt’s student org management system. See https://it.vanderbilt.edu/services/box/ for information on getting started with Box, and https://anchorlink.vanderbilt.edu/support for AnchorLink support. Policy approved by the Brightspace Advisory Committee spring 2017. Page updated August 24, 2017.